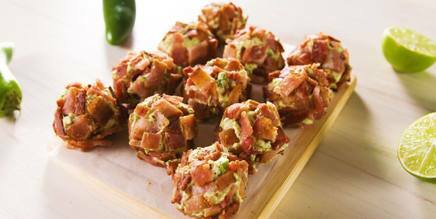 Bacon Guac Bombs are basically an avocado and cream cheese dip, jazzed up with some zesty seasonings, rolled into a ball and topped with crunchy Bacon. They are perfectly munchable, and make a great snack or party appetizer! This recipe from Delish is also Keto friendly!